Have you ever had a blog identity crisis? I know I have. On multiple occasions. I’ve gone from a lifestyle blog, to a blog about blogging, back to a lifestyle blog, and now to a blog with a mission to inspire more women to realize their potential to work online. And yes, all these changes have happened in my blog’s short lifetime of 10 months. And let me tell ‘ya, it’s been one hell of a process! I can only imagine I’m not the only one who has struggled with this dilemma of trying to identify their blog’s focus: jumping between topics, not feeling confident with their content, and just in general doubting whether readers actually cared. So today, in order to help us all grow our blogs, I want to chat with you about your blog’s focus. What is a blog focus? Your blog’s focus is more so the general vibe, or category of ideas you have on your blog. It’s that initial indicator of the kind of content a reader will find when they land on your website. And, while I don’t think there’s any one perfect way to narrow your blog’s focus, I do know that the way that I’ve done it has worked for me. And really, I’ve never been more inspired or motivated by my blog, and I want more of you to feel that same sense of satisfaction! 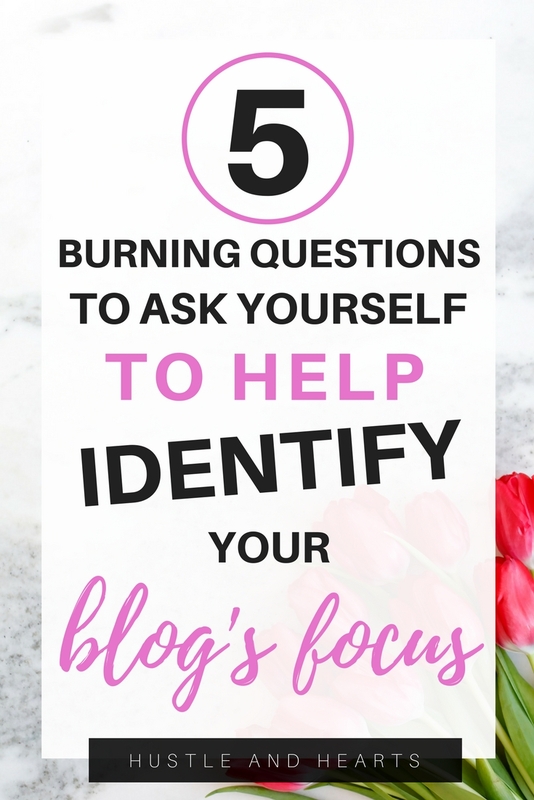 So, if you’re ready to get serious about your blog growth, ask yourself these 5 questions, and hopefully they’ll be able to help give you a more clear path for your blog’s focus. 1) Are your forcing your blog’s focus? Sometimes it’s okay to blog about random topics that might not seem to go together. Yup, I’m going against the grain with this piece of advice. Like I mentioned above, I had a really hard time narrowing down my blog’s focus, and man, if I was confused about what mission my blog was trying to accomplish, no doubt my readers felt even more confused! 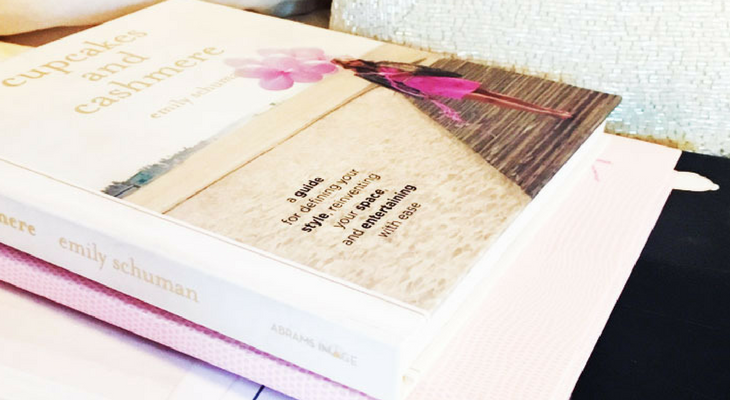 While I know my blog has always been a little all over the place, I am absolutely certain that it took me blogging about these multiple topics in order to narrow down my blog’s focus. I had to realize that the value I can put into content about business is so much more impactful than anything I could say about beauty or fashion. And no, not because fashion and beauty aren’t important topics, but simply because they’re not topics that I have a unique, fresh perspective on (more on this soon!). If I didn’t experiment with my content, I can almost guarantee I probably would have always wished my blog was more fashion or beauty based (since those are such big passions for me). So, what you should you do if you’re forcing your blog’s focus? If you’re still in the first year of your blog, don’t stress too much about your blog’s focus. Instead, write on a variety of topics! In today’s blogging world, the expectation is that you launch your blog and have your sh*t together right away, but can we all just take a breather please? My goodness, you don’t need to have it all figured out right out the gate, my friend. Instead, find your writing voice, figure out what topics you’re most passionate about, and most importantly, decide which topics you can provide the most value on. Stop trying to rush it. If I could talk to myself 6 months ago when I truly felt like my blog was hopeless, that’s what I would have said. 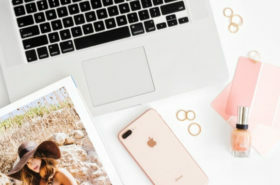 On the other hand, if you’ve been in the blogging game for a while, and you still feel like you’re struggling over connecting your ideas and finding your blog’s focus, I highly recommend asking yourself some of the upcoming questions. They might just give you the clarity you’ve been looking for in your blogging journey. Blogging is a highly saturated space. We all know that. And that’s why it’s more important than ever that we’re putting out content that stands out above the crowd. And no, that doesn’t just mean putting out a valuable piece of content. I know that’s the advice we’re constantly told: provide valuable. But with the state of blogging, it goes beyond just providing value. It also includes ensuring that both your content AND you are unique. What do I mean this? Well, when it comes to your content, the answer is pretty obvious: put content out there that doesn’t look like everyone else’s. You want to write with your own blogging voice, and ensure you’re adding in your own ideas/thoughts/opinions to blog posts rather than just spewing the same thing everything else says. But, in order to really define your blog’s focus and make you stand out, you also really have to dive deep into what makes you unique. So, how can you discover what makes you unique? Ask yourself this question: what is it about me that would make someone want to read my blog over the millions of others that exist? Truly give this one some thought. Take away all the future blog plans you have, stop thinking about what you want to write, and instead just think: if there was something about me that people would find unique and want to know more about, what would it be? For example, I’ve been listening to the Influencer Podcast with Julie Solomon (highly recommend). Julie has talked about how she started blogging as lifestyle blogger, but soon realized that what made her unique was her public relations background. People would constantly ask her about pitching to brands, and how to do it. And so, she rebranded, and now runs an extremely successful business that focuses on helping bloggers leverage their influence. She focused in on what made her unique, and for her, that made all the difference. So think: what is it that people ask you about time and time again? Is it your beauty routine? Is it where you buy your clothes? Is it how you come up with such delicious vegan recipes? 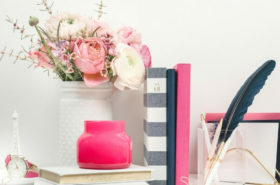 Is it how you’ve styled your home? Is it about how you’ve grown a business? Whatever it is, leverage it, and start building your blog content around it. It’s likely your secret blogging super power that will explode your blog, and as long as you’re passionate about that topic too, I guarantee you’ll see a difference in how people connect with your content. 3) What do you want to be known for? We all start our blogs for different reasons. Maybe it’s to build an influence. Maybe it’s to grow a businesses. Maybe it’s to connect with like minded women. Hell, maybe it’s just for fun! But if there’s one thing that is absolutely certain for identifying your blog’s focus, it’s that you have to be working towards a blog goal that resonates with you. You have to know what you want to get out of your blog. Once you know what that thing is, you’ll be able to more intentionally create content and provide value in a way that aligns with your own goals. Because really, as much as we’re told to write for our readers, we also have to ensure we’re writing for ourselves. Once you’re able to balance the idea of writing content that provides value for your readers, while also serving your own needs/hopes/dreams, you’ll likely identify the piece of the the puzzle that’s been missing in your blog’s journey. So, how can you decide what you want to be known for? This is an extremely personal answer. It’s not something somebody can tell you. It’s not something that will be handed to you. And it’s certainly not something you can read about on the internet. You kind of have to think backwards here: decide what you want to be known for, and then do everything in your power to make sure you’re known for that thing. For me, I want to be known for helping more women believe in their potential to build freedom based businesses online. And so, in the new year, I’m really focusing on providing content that makes that mission clear to my ideal reader. If you don’t yet have that thing that you’re working towards, I want you to dig deep and think about your blog in 5 years. What do you want it to be doing for you? 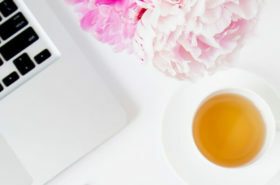 Do you want a blog that provides you with the ability to use your influence to help share your fashion and beauty tips? Do you want a blog that acts as a launching pad to write your own book? Do you want a blog that allows you to travel the world and get paid to do it? Do you want your blog to be a money making machine that gives you freedom and creativity? Whatever it is, get very clear on it. Knowing what it is you want your blog to do will help you make intentional decisions about what you want to become known for. If you’re in the category of ladies who want their blog to make them money, I highly recommend checking out this FREE video course on affiliate marketing. In it, Ana from The She Approach will give you a proven framework to help you start making affiliate sales, along with tips to help increase your conversions for those of you who already have an affiliate marketing strategy. Sorry for that little detour, but this course is FREE, and I’m all about sharing free content that helps you make progress on your blogging goals. Check it out here, if you’re interested in making money with your blog. If you’re only just starting your blogging journey, this won’t apply to you, but if you’ve written 10 or more pieces, you can definitely make use of this question. Go back and read some of your old articles. If you haven’t looked at these pieces in a while, you’ll likely be able to view them with fresh eyes, and objectively determine the level of value they provide. Because really, when you’ve put multiple hours into a piece of content, you’re always going to be in love with it when you first hit publish. Hello, it’s like your baby! But when you’re able to view it multiple months later with fresh eyes, you might see it an entirely different (more objective) light. It was actually doing this, and reading some of my past business content that made me realize I needed to start putting out more business focused posts. I could clearly see how much more valuable they were in comparison to some of my more lifestyle based content. So, how can you figure out which content you write best? I pretty much included the action step within the advice itself, but if you want to take it a step further, I ‘gotchu. Utilize your Google Analytics, ladies! Because yes, while your opinion of your content matters, there is no better indicator than straight up numbers. Look at things like the bounce rate and time spent on page for each post. Posts that have a low bounce rate and high average time on page are likely good indicators on where you should focus your blog, and what your readers are most identifying with. Also, go back and look at comments on your blog. Take note of which posts are receiving the most valuable comments. And no, I’m not talking about the comments that thank you for sharing. I mean the long comments where the reader was obviously inspired to comment something significant. Those blog posts that are inspiring people to contribute are likely a good indication of where you should focus your content. 1) Are you forcing it? Let your blog evolve naturally. If you’re unsure where you want to focus, write on a variety of topics so you can get a feel for different categories. If you do this, you’ll likely feel more secure in your blog’s focus whenever you do inevitably land somewhere. For me, I realized the fact that I actually do own a freedom based business is what makes me unique. I have decided to leverage this. I now feel more confident with my content. I feel more inspired to make connections. And I’m certainly more motivated to create. Dive dip into what actually makes you unique, and not just what you’re passion about (you need both). So often we’re told to write for our readers, but of course writing for yourself is also extremely important. First and foremost, your blog has to serve you. Because if it doesn’t, you’ll lose the passion and it will show in your content. Think about what you want to be known for, and then work like hell to get yourself there by providing content that best serves that purpose. 4) What content do you write best? What resonates with people? Some people are good at writing certain pieces of content. Plain and simple. Figure out what kind of content you write that is most valuable, and then create more content in that same style. Your readers will appreciate it. Hopefully answering some of these questions has helped make it a little more clear about what you want your blog’s focus to be. You might be thinking: Andrea, you said there were 5 questions we needed to ask ourselves. A-ha! Correct you are, but in an attempt to reduce the length of this beast of an article, I’m going to be sending out the fifth and final tip through email. That way I can more thoroughly explain it without writing an entire novel. Alright ladies, that is enough from me! Now I want to hear from you! 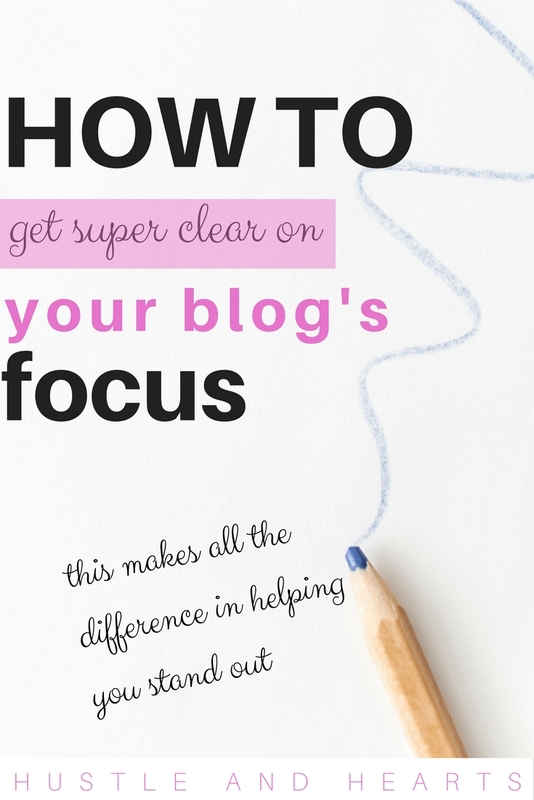 Do you think identifying your blog’s focus is important? Are you struggling with your blog’s focus? If so, what do you think is holding you back? Thank you for the thoughtful questions. This is something I wonder about sometimes because I write about several different areas. Yeah, sometimes writing about multiple topics can for sure work! Eventually I hope to be able to maybe get to that point. For me, though, as somebody who can be a little all over the place, I think it’s easier for both myself and my readers if I focus now, and maybe expand out later. But seriously, there is no rule book to blogging. Different things are going to work differently for different people. That’s the beauty of it! This is such an important question that many beginner bloggers look over. I waited a long time to really narrow in my blog’s focus, and it’s something I’m still working on! Loved this post, I have gone back and forth a lot with the topic of my blog and I am still not certain so will definitely implement these tips. I think we just need to go with the flow a lot of the time and see what people are asking for or what we type of content we want to create at that moment. Soo many bloggers are afraid of starting or launching their blog because it’s not perfect…but the best thing they can do is just bite the bullet and start writing. I mean, that’s how you figure out what you like and don’t like and what you’re good at and what you’re not good at!